Orange Crush got crushed. But spirits remain high! We had the first pre-game of the season for our 5th graders this past Saturday. We got killed but the boys had a great time and didn't seem too upset about it. The dads on the other hand... a little more devastated. Look at this way... we got nowhere to go but up! It's so much fun to watch them play now, I can't imagine how exciting it must be to watch them play at the high school level in front of all those people. Can't wait! 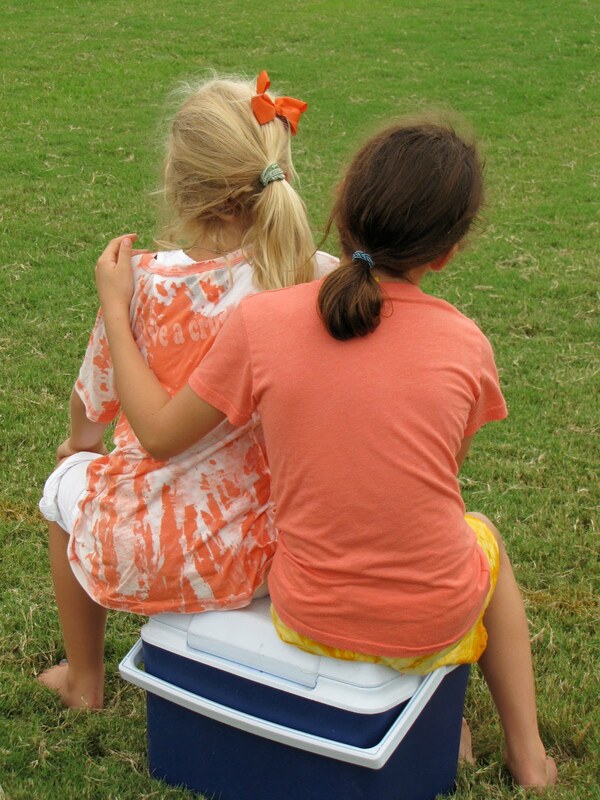 It's not uncommon to see the siblings of the boys playing romping on the sidelines, paying no attention to the game. I loved this sweet shot. Ah... if only they'd stay this young and sweet!